I needed a project for my Xmas holiday and I needed something remotely work related. Thus the dubious PoshARM PowerShell module was born and brought to life during my Xmas holiday. 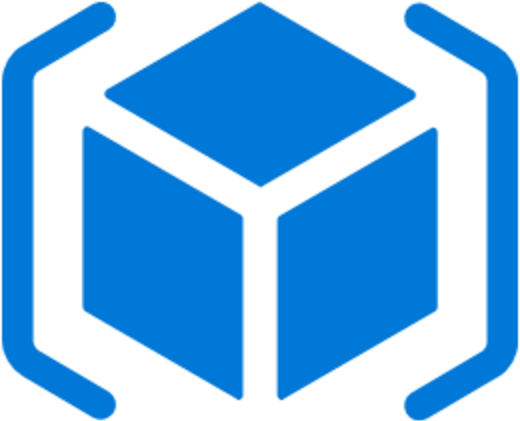 Simply put it is a module that lets you build – for now – simple Azure Resource Manager (ARM) templates with PowerShell . The module can also import templates from a file or from the clipboard/string. Your partial template or ready made template can be exported as a PowerShell script. This blog post will walk you through how to use it and the features that is currently implemented. The module is now published to the PowerShellGallery (https://www.powershellgallery.com/packages/posharm). It is still in beta version, however test coverage have increased and some bugs have been squashed during the testing. Also help is present, however somewhat lacking here and there. Good question. In my experience this will probably not be the primary way of creating an ARM template for the professionals. For them is will probably be quicker to manually copy/paste and edit the template in an text editor or in Visual Studio. Trouble is when your template expands, it can get quite big. In addition I have yet to say hello to any IT-pro (with very few exceptions) that embrace and understand big JSON files, much less IT-pros that build their own ARM templates. If only a single person find it useful or any part of this module is useful, I will be happy. This is a public alpha preview. There are bugs in the module and it is not feature complete in any way. Currently I have Pester coverage for most of the cmdlets, however the current ARM-template test file is just to create a simple VM in Azure and it contains 6 resources, some parameters and variables. As always, help is missing everywhere and this is the reason I have not published it to Powershell Gallery yet. There are currently no cmdlet for working with the template outputs property. It is handled and imported if you use the Import-ARMtemplate cmdlet, however it will be missing if you export it. As with the variable cmdlets, we have a dynamic parameter for the name both for Get-ARMparameter and Set-ARMparameter. Get-ARMresourceList provides dynamic resource type parameter for New-ARMresource. The Update-ARMresourceList cmdlet is used to update the cached version of the resource providers that is available in Azure. Currently the cached resource list is saved in the module path (.\Data\AllResources.json), however it should probably be moved to AppData. The New-ARMresource cmdlet implements a Dynamic parameter named Type. The value for this parameter is generated by the Get-ARMresourceList command. The New-ARMtemplate cmdlet will create a new empty ARM template in the current Powershell session. Currently it will overwrite the current template if you have started creating one. This will change and will require you to specify the Force parameter if a template exists. The hashtable string version is easier on the eye compared to the JSON version, however that depends on your JSON experience level and your hashtable fondness level. There are two helper functions available in the module. Both of them are used heavily in the Script cmdlets which we will talk about next. Yes, there it is with proper indention and everything. There we have it. We just created a ARM template with Powershell and converted the template back to a Powershell script. This also works with imported templates which enables you to copy snippets of code to create templates. The observant reader may spot the bug in the screenshot above. The SKU key is “System.Collections.Hashtable” which is not correct. Did I mention that it is not ready yet? Well it is not, but it is almost working. Please contact me if you have other suggestions or ideas. I cannot think of everything. There is a very small amount of job left to make this module work at the current functional level. Please leave feedback here on my blog or reach out to me on Twitter (@ToreGroneng). The module will be published on PowerShellGallery.com and the link to the repro is here (link to PoshARM). Do you have this up on github ? Hi Tore! Any chance you can post an example of a template setup with a child resource? For example, a web site with a slot of a resource with a lock. Thanks. Hi, that is one idea. Thank you. The module still need a little love, but it is getting there.